When Taylor had her daughter 2 years ago, her husband was deployed in the Army. Her body did not bounce back after the baby which left her feeling disgusting just looking at her own skin. She cried at the thought of her husband coming home and seeing her body. She found a trainer who lived near her who was also a Beachbody Coach, Melissa, and she inspired her to get started with Shakeology and plug into a virtual support group (aka challenge group!). She fell in love with Shakeology and slowly her lifestyle and her families lives began to transform. She was changing her families legacy and setting a great example for her daughter. Through all this, her husband was emotionally abusive and had been cheating and doing other horrible things. But, she was so insecure and afraid she continued to accept his behavior and feel like it was her fault and there was nothing she could do. How could she make it as a single mom? Her Coach encouraged her to leave her abusive husband and start over so she finally found the strength to take her daughter and leave. She was terrified of starting over alone and had no idea how she would do it, but she knew she could no longer raise her daughter in that home. This brave step was the best thing that happened to her. She has since then renewed her faith in God and realized what an amazing woman she is. She went through a slump, but quickly reminded herself of how amazing she is and stopped beating herself up over her husbands issues. She deserved more! This fueled her to continue on her weight loss journey and lose the weight. After 21 years, she finally felt confident and strong -- something she had never felt before. She fell in love with the woman she had become and decided she had a passion for helping other women find themselves and feel alive again too! So, she became a Coach and has been working, taking care of her daughter and building a business on the side. She has big goals of being able to stay home with her daughter and not miss those special moments. Not have someone else raise her daughter. Her life has meaning and purpose and she is now surrounded by the most amazing supportive women who are cheering her on. 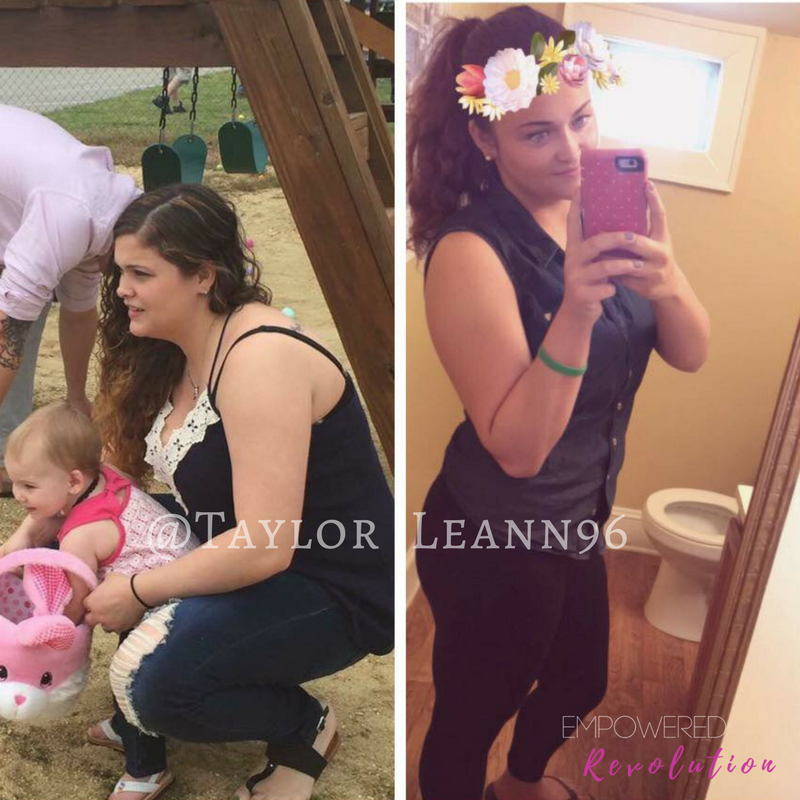 To follow Taylor, or join her on her mission, head over to her Facebook page and prepare to be inspired as she raises her daughter as a single mom and fearlessly builds her Beachbody business so she can spend more time with her daughter. This company has changed her life and she is on a mission to help as many people as possible.